A day filled with animal friends, fun, and interesting information! 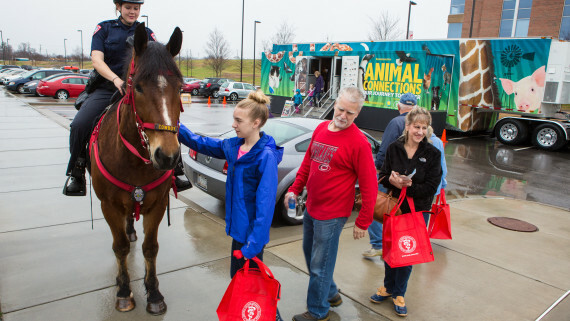 Visit NC State Veterinary Medicine for a day filled with animal friends, fun, and interesting information. Staff members identifiable by Open House shirts can answer questions or help meet any needs during your tour. Comfortable, closed-toe shoes are recommended for touring the CVM. Children must be accompanied by a parent or guardian at all times and please leave pets at home. 2029 Open House is scheduled for March 28 from 9AM – 3PM. REGISTRATION IS NOT REQUIRED. Before you join us, get a glimpse of what our Open House is all about in the video below. Interactive. Educational. Entertaining. Learn about animals and animal care, ask questions of experts, and learn what’s new in veterinary medicine. Learn more about the operations and facilities at our Veterinary Hospital and bring your budding veterinarians to check our what the classrooms and laboratories in a state-of-the-art college of veterinary medicine are like. 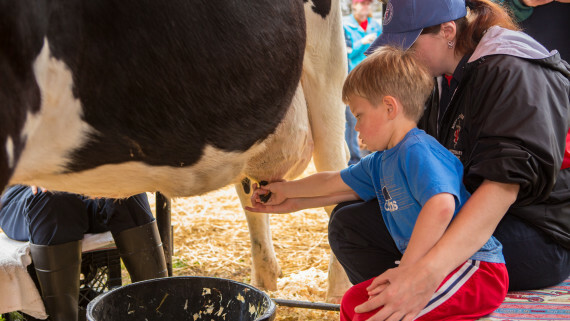 Then stop by and visit the chicks, and cows, and horses, and turkeys, and goats, and pigs at the Teaching Animal Unit. Make sure to leave time to participate in one of our many events. Get an in-depth view of our world-class hospital facilities. Learn how scientists are helping to improve and save lives. 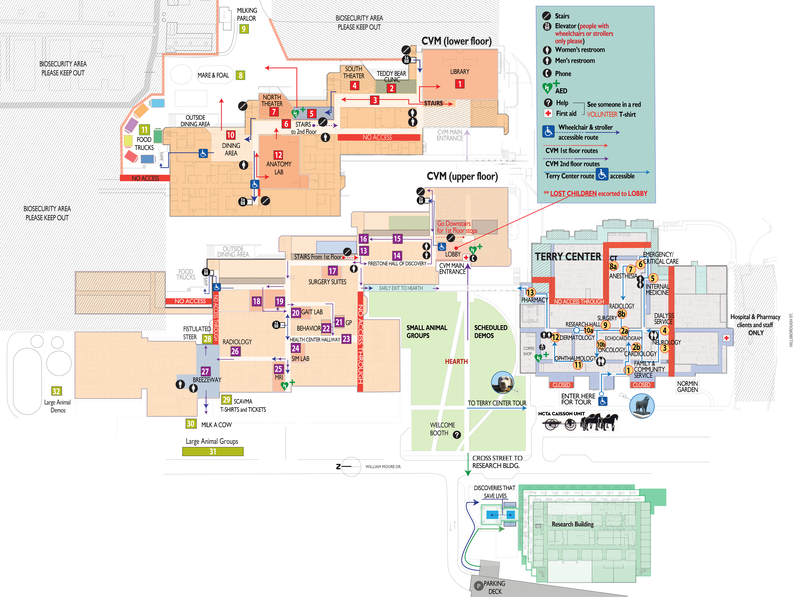 View a downloadable map of all tour stops. Animal-care demonstrations, expert Q and A’s, Vet School Admission talks, working canine obedience demos, and more. We’re located at 1060 William Moore Drive in Raleigh near the NC State Fairgrounds at the intersection of Hillsborough Street and Blue Ridge Road. 1. Please do not bring your pets to the Open House. 2. Wash your hands after touching the animals. Animal rescue organizations, companion animal training groups, food-animal growers associations, to the Raleigh Aquarium Society – we are pleased to have the valued participation of community partners in our Open House. Please take the opportunity during the event to visit with representatives of the these groups and learn about their programs.